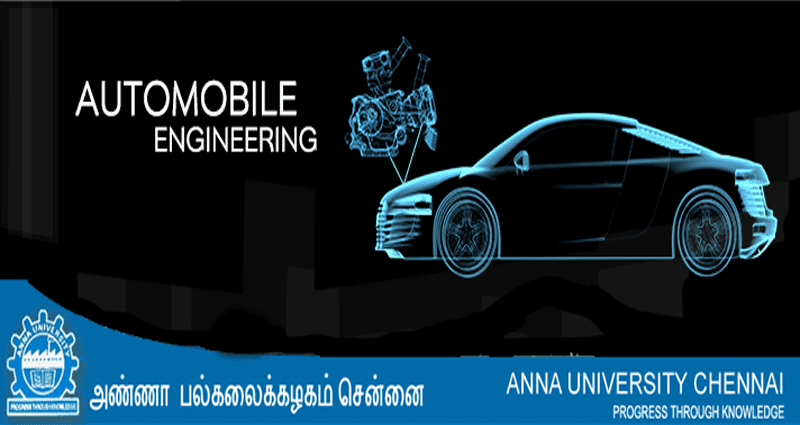 Content : 080120035 Automobile Engineering - curriculum, syllabus and Collection of Previous Year Question Papers. Electronically controlled gasoline injection system for SI engines., Electronically controlled diesel injection system ( Unit injector system, Rotary distributor type and common rail direct injection system), Electronic ignition system ,Turbo chargers, Engine emission control by three way catalytic converter system . universal joints ,Differential, and rear axle, Hotchkiss Drive and Torque Tube Drive. Transmission Systems should be given to the students.